1. Remove selvage edges from fat quarters. 2. 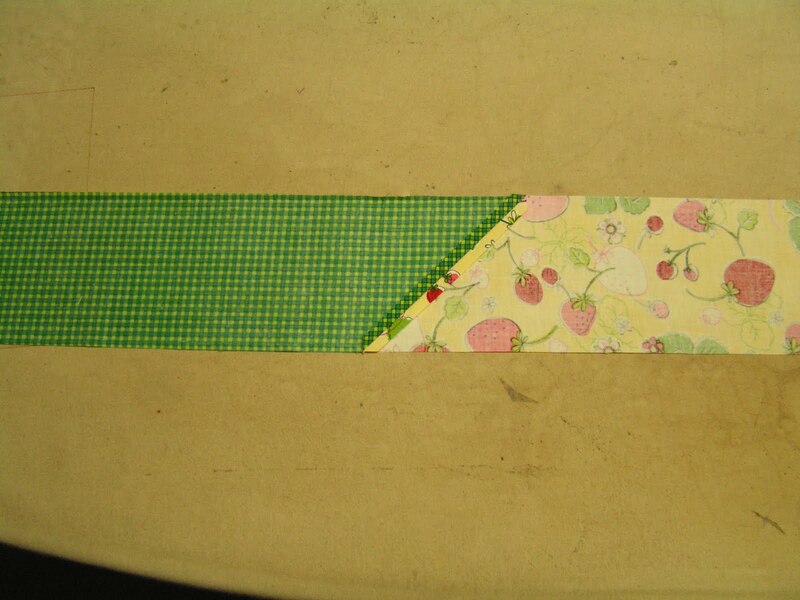 Lay the two fat quarters right sides together. They may no be the same size, so make sure they line up in one corner. 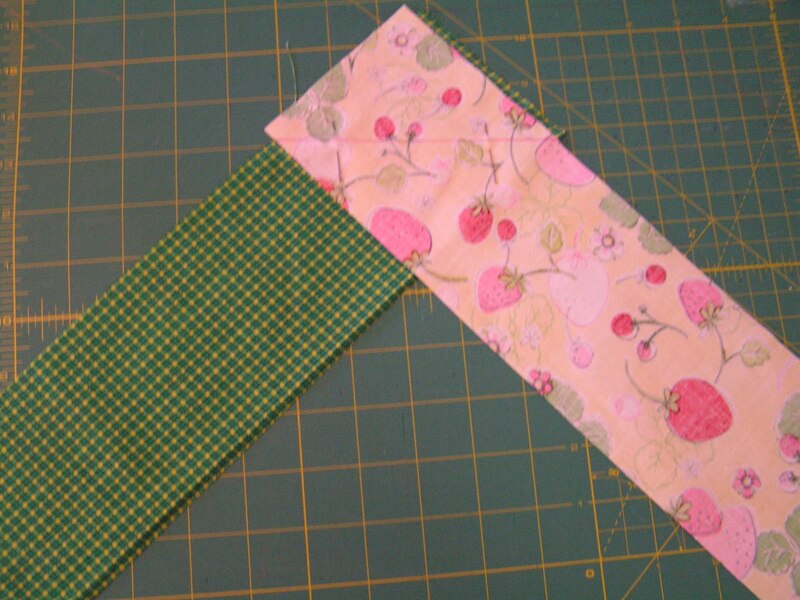 3. cut the largest SQUARE your fat quarters will allow (18" or a little less) measuring from the matching corners. 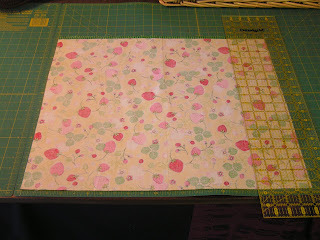 Your gridded cutting mat can help with this step. 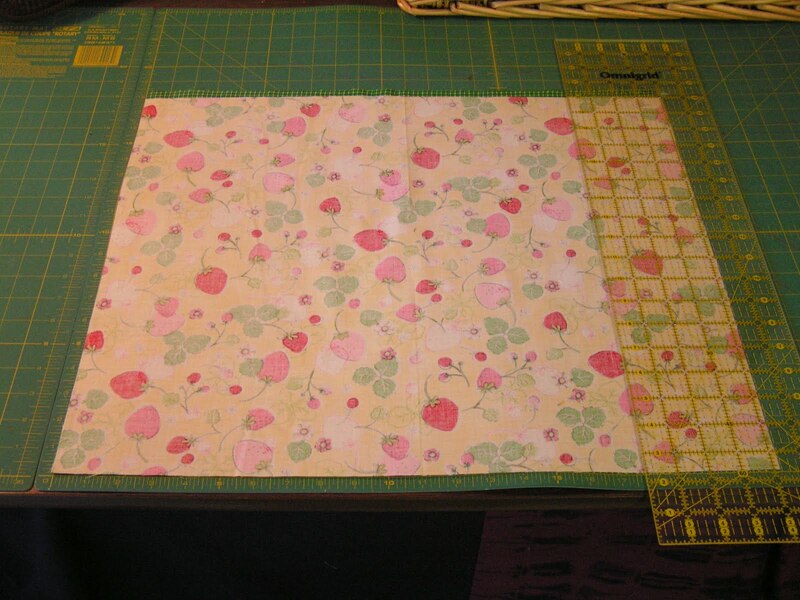 You will be cutting off two pieces approximately 4"x18". Set these aside for the carrying strap. 4. 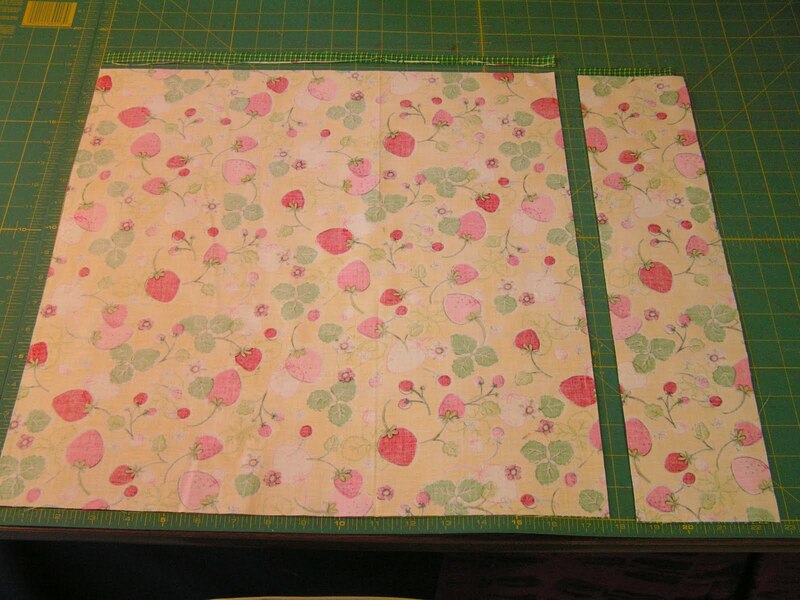 Lay fat quarters on top of insulbrite. 5. Using a cup, draw rounded corners on the top fat quarter using the sharpie. 6. 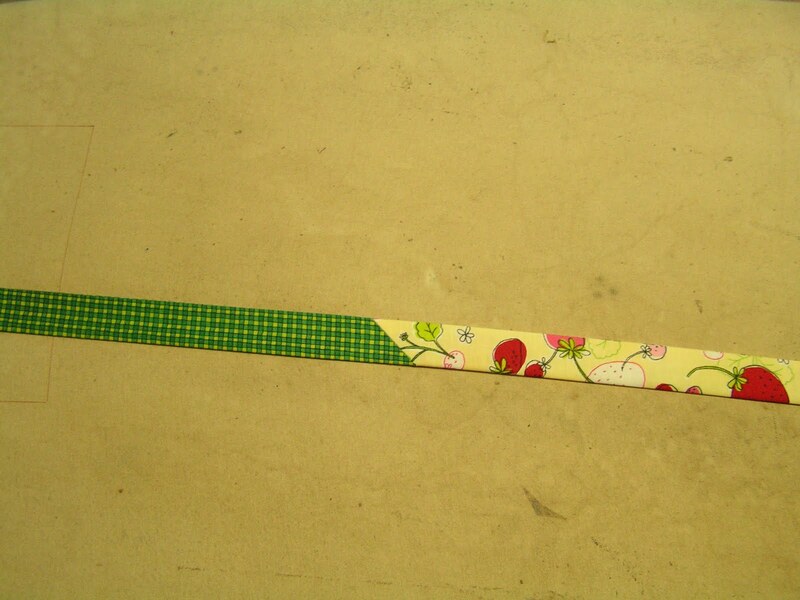 Now cut corners and insulbrite at the same time. 8. 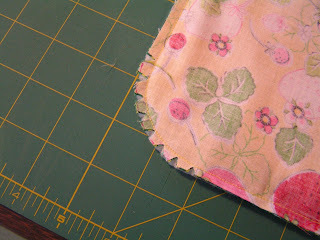 Stitch layers together with a 1/4" seam allowance, leaving 6" open for turning. 11. 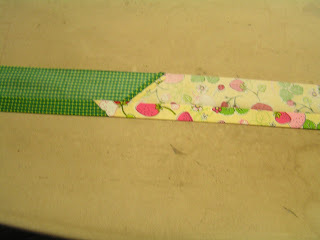 Top stitch close to edge. 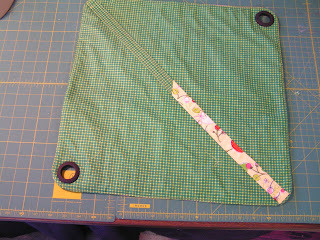 12. using template in grommet package, mark circle just inside top stitching at opposite corners of carrier. 13. 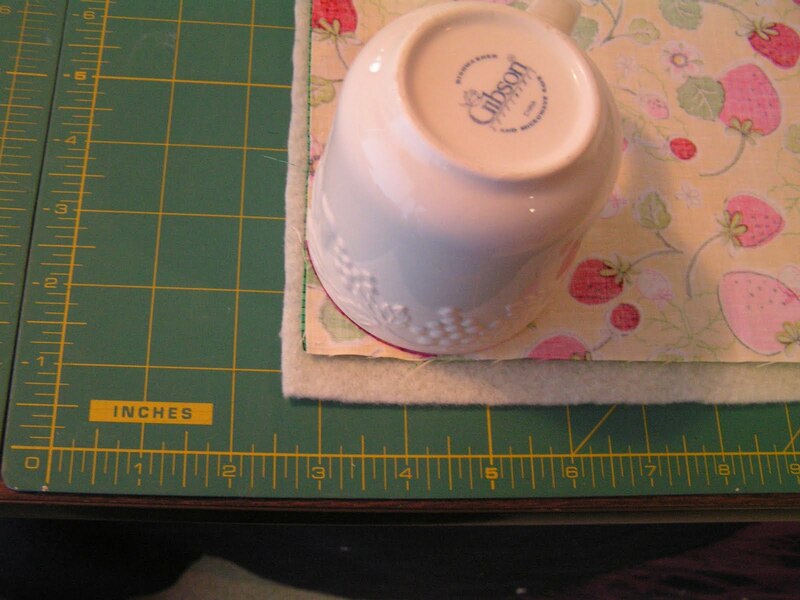 Using a shortened stitch length, stitch on the circle you just marked. 14. Cut out circle inside stitched line. 16. 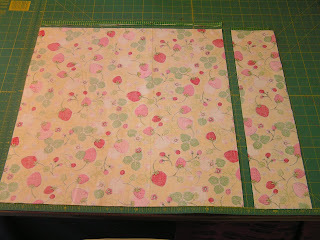 Take the two 4"x18" pieces you set aside and trim them to the same width. 17. Sew end to end with a diagonal seam. 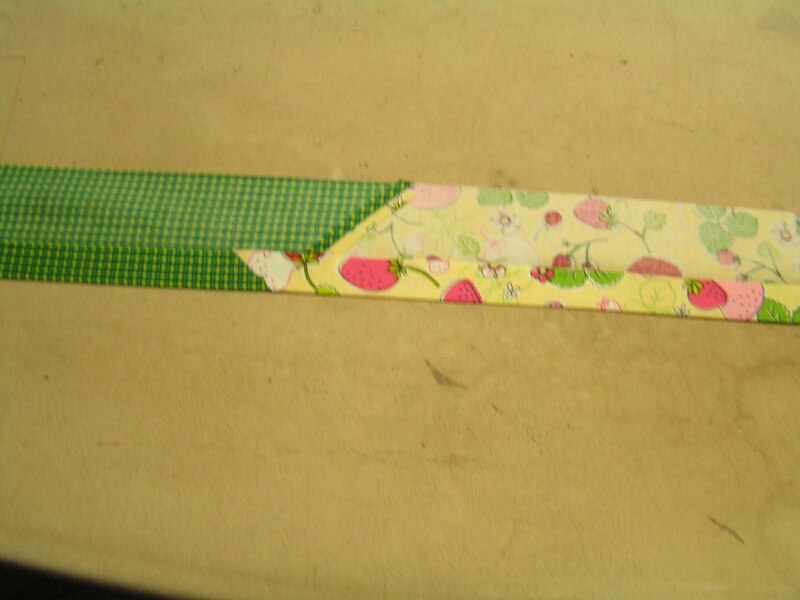 Trim seam alllowance to 1/4" and press open. 18. 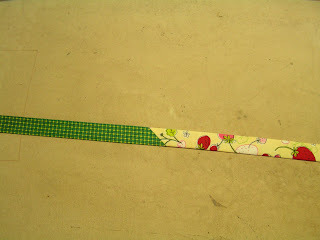 Press long strip in half lengthwise. Open and press long raw edges to center crease. Fold again on center crease and top stitch. Strap will be longer then necessary. 19. Lay strap diagonally across casserole carrier on the opposite corners from the grommets. 20. At one corner, turn strap end under 1/2". 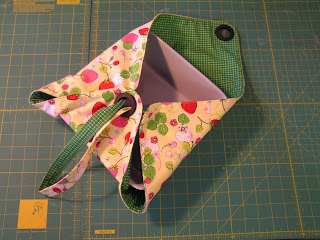 Stitch through all layers to attach this end to the carrier. 21. 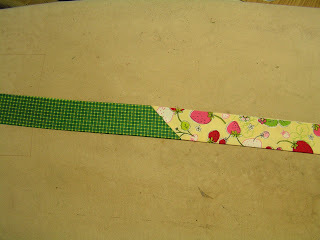 Smooth strap diagonally across casserole carrier. 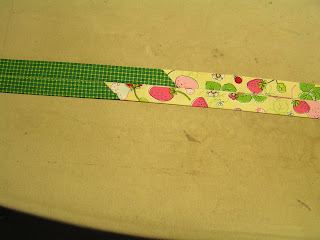 Cut off excess strap length allowing for the 1/2" turn under. 22. 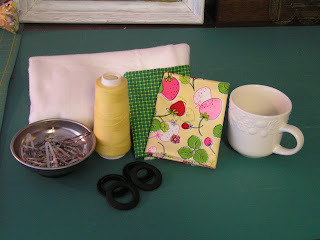 Turn under this end you just cut and stitch in place. 23. 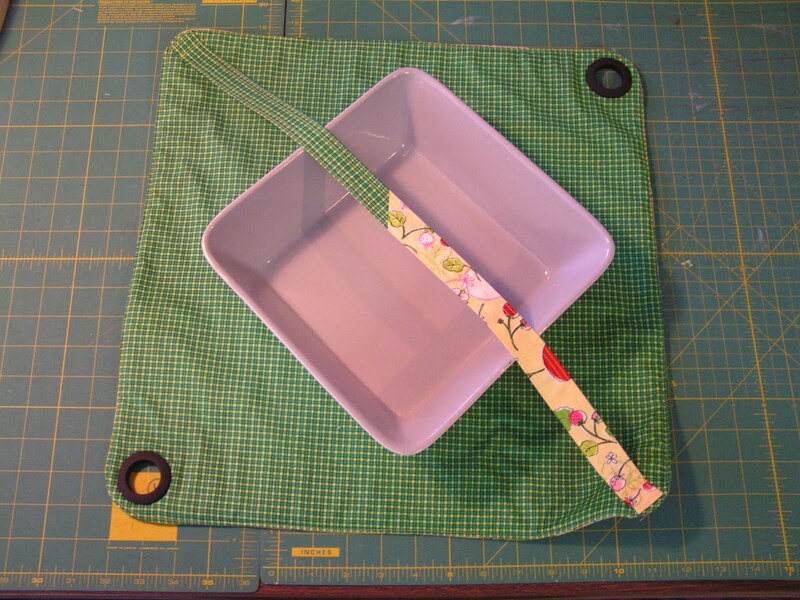 Your casserole carrier is ready to use! 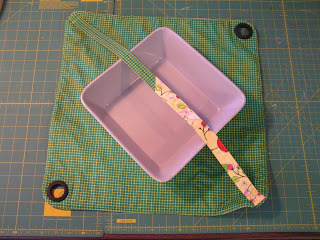 I designed a csserole carrier for a 9"x13" pan. It is a large diamond shape. The basic construction is the same. 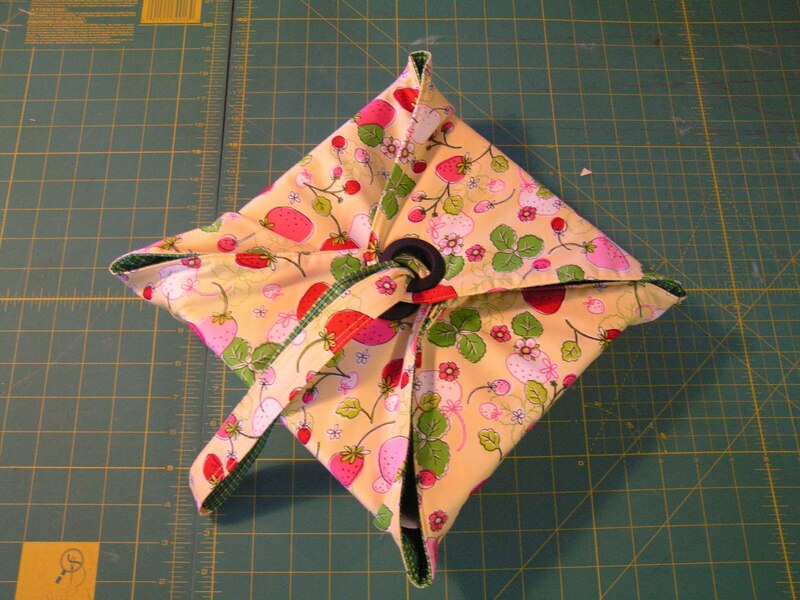 If you would like to have this pattern piece just let me know.